The Follia lamp is a designer ceiling fixture by Paolo Crepax. 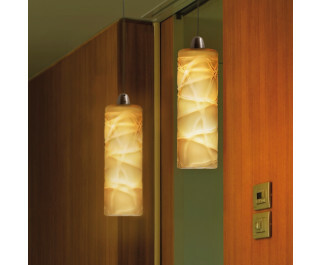 The exclusive production method by the manufacturer Vistosi gives this light a modern flair. The shade consists of satined and mouth-blown glass, crossed with melted and plaited crystal threads. The structure is made of satined nickel and completes the light harmonically.